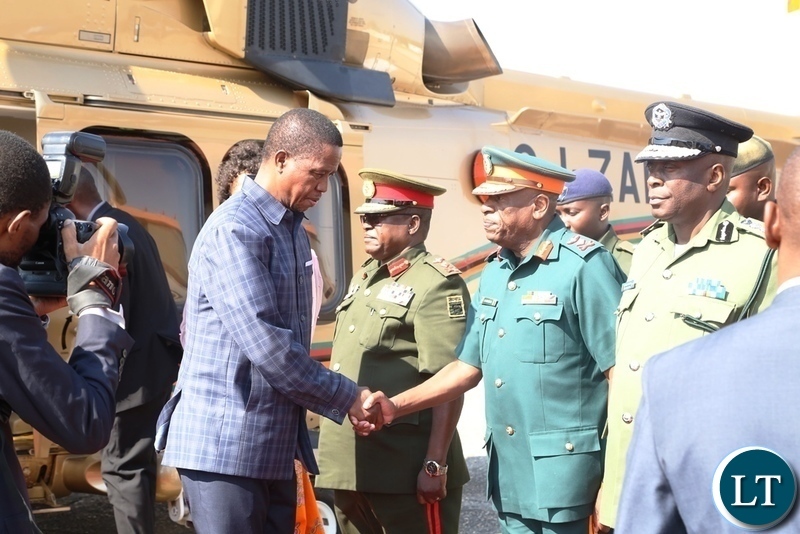 President Edgar Lungu has left for Livingstone, Southern Province where he is expected to officially open the International Conference on Artisanal and Small-Scale Mining and Quarrying. The President departed the Lusaka City Airport at about 09:25 hours accompanied by Minister of Presidential Affairs, Freedom Sikazwe and his Special Aid for Press and Public Relations, Amos Chanda. The Head of State was seen off at the airport by Minister of Home Affairs, Stephen Kampyongo, Minister of Higher Education, Nkandu Luo and the Minister in the Office of the Vice President Silvia Chalikosa. 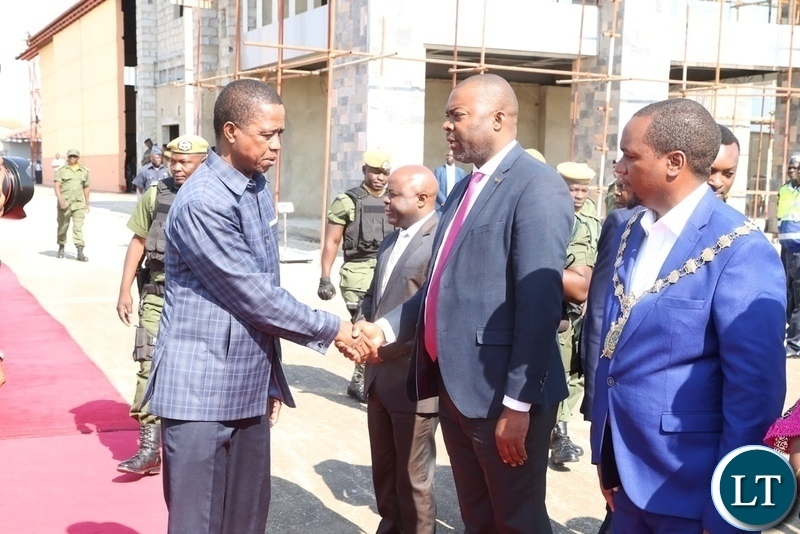 Mayor of the City of Lusaka Miles Sampa, Secretary to the Cabinet, Roland Msiska and other Senior Party and Government Officials were also at the airport to see of the President. According to the programme released by the Provincial Administration in Southern Province, the President is also expected to tour the exhibition stands by Small Scale miners at Avani Hotel before returning to Lusaka soon after his one-day programme. The on-going International Conference on Artisanal and Small-scale Mining and Quarrying has attracted about 500 participants from 70 countries which include 13 from Africa. The international conference has drawn participants who include Artisanal and small-scale miners, quarry workers, mineral processors and users, traders, equipment manufacturers, end-product producers and other private sector actors involved in the minerals supply chain. Others attending the conference are representatives of mining and quarry associations, women’s mining associations, and representatives of government ministries, agencies and geological surveys. Academics and researchers, civil society and non-governmental organizations, multilateral and bilateral, development actors, including intergovernmental organizations are also in the tourist capital for the conference. And President Edgar Lungu has arrived in Livingstone to officially open the International Conference on Artisanal and Small-Scale Mining and Quarrying. The Zambia Air force (ZAF) plane carrying President Lungu touched down at Harry Mwaanga Nkumbula International Airport at 10:31hrs. The Head of State is accompanied by his Special Assistant for Press and Public Relations, Amos Chanda, Presidential Affairs Minister, Freedom Sikazwe among other senior officials. 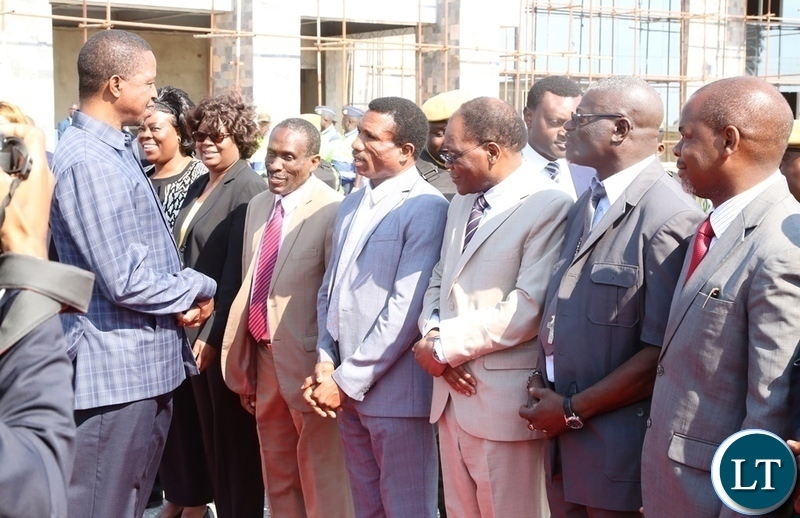 On hand to receive him at the airport was Minister of Mines and Mineral Development Richard Musukwa, Gender Minister Elizabeth Phiri, Southern Province Minister, Edify Hamukale, Provincial Permanent Secretary Mwangala Liomba and other senior government and party officials. The President is expected to return to Lusaka later in the afternoon after the official opening and tour of exhibition stands of small scale miners at Avan Victoria Falls Resort Hotel. Politics aside, this endeavour sounds good. Zambians can seize an oppprtunity to take what’s theirs instead of complaining all the time. Wiser than Larry Mweetwa and HH. Lazy man will do anything to run away from office!! Lazy bum illiterate tribal hooligan bully son of a tribal polygamist son who never told the little boy toilet training pooping in public Hagain! His hate reverberates in his bones but his god HH will never be enthroned because he is UNELECTABLE but Animo Farm can’t get it! FIghting TRIBAL WARS with HATE! Childish is childish and is unlikable and unwinnable! He is also a member of THREE MANSIONS! Sorry he has THREE MANSIONS! Why can’t they make it a rule for only 3 senior government officials at a time (Ministers, PSs or their equivalent) to be seeing off or receiving the President every time he’s travelling in or out rather than having all those officials seeing him off every time he’s travelling?I have never seen any thing like this any where in the world!More tha 10 senior government officials seeing off the President! What for? Does a trip from Lusaka to Livingstone warrant an entire cabinet gathering at the airport to see the president off? What a waste of resources.. These gatherings at the airport are really baffling. What is it that is said at the airport that can’t said in a cabinet meeting?